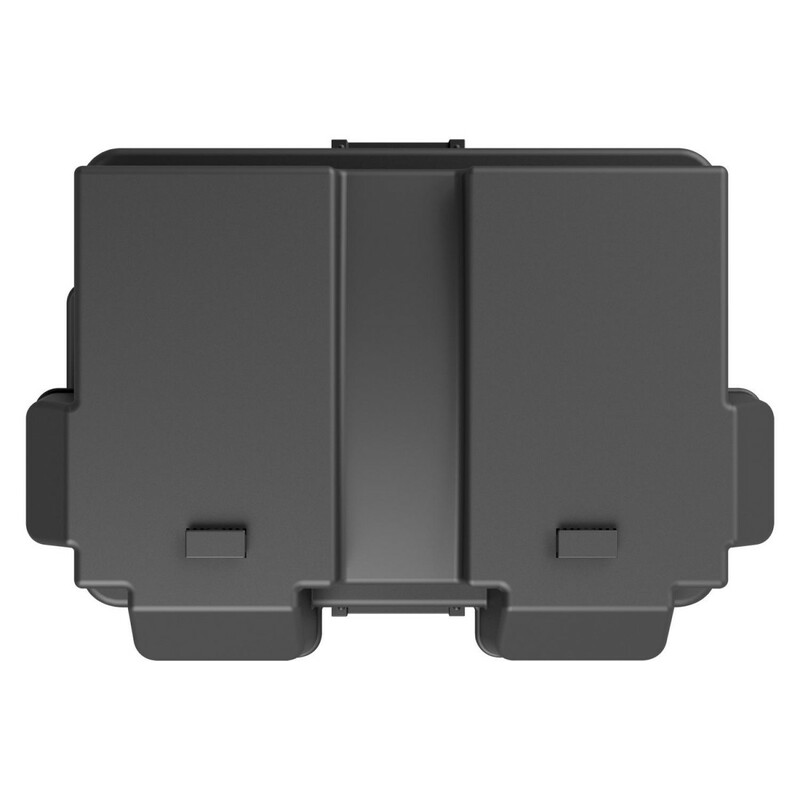 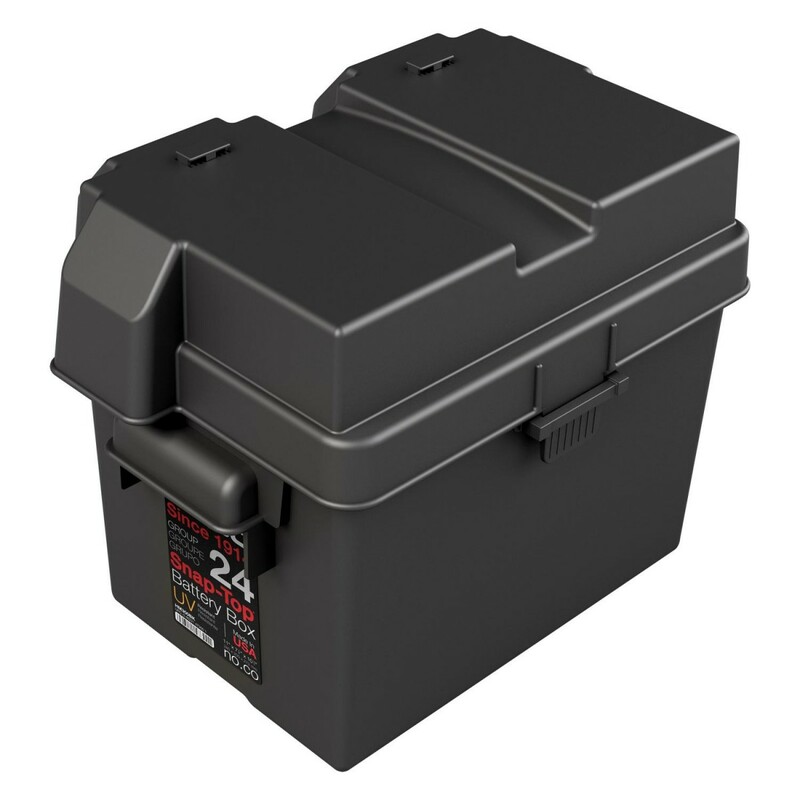 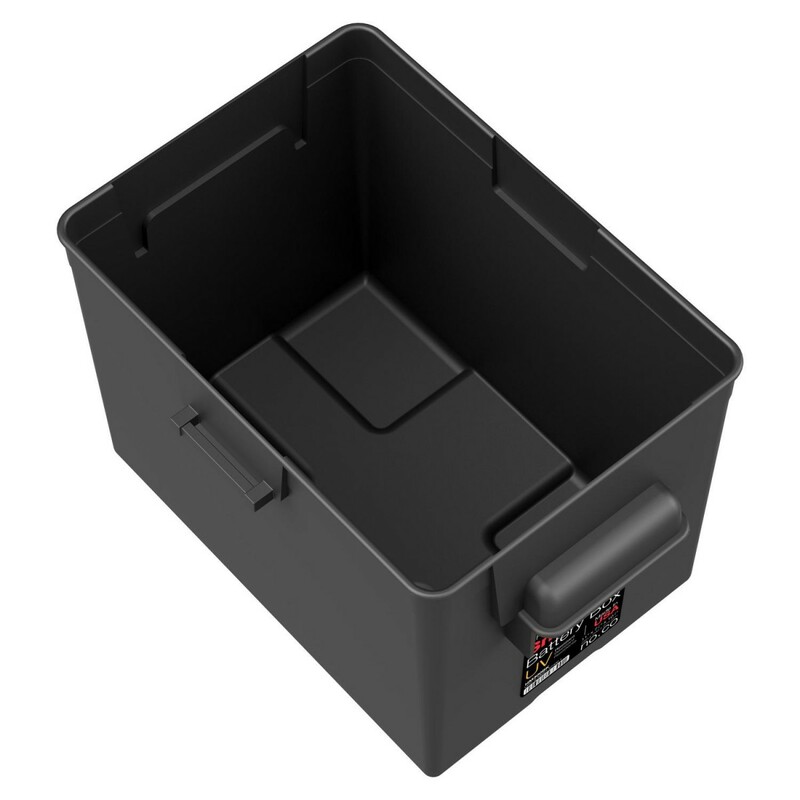 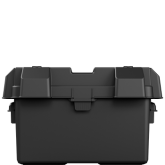 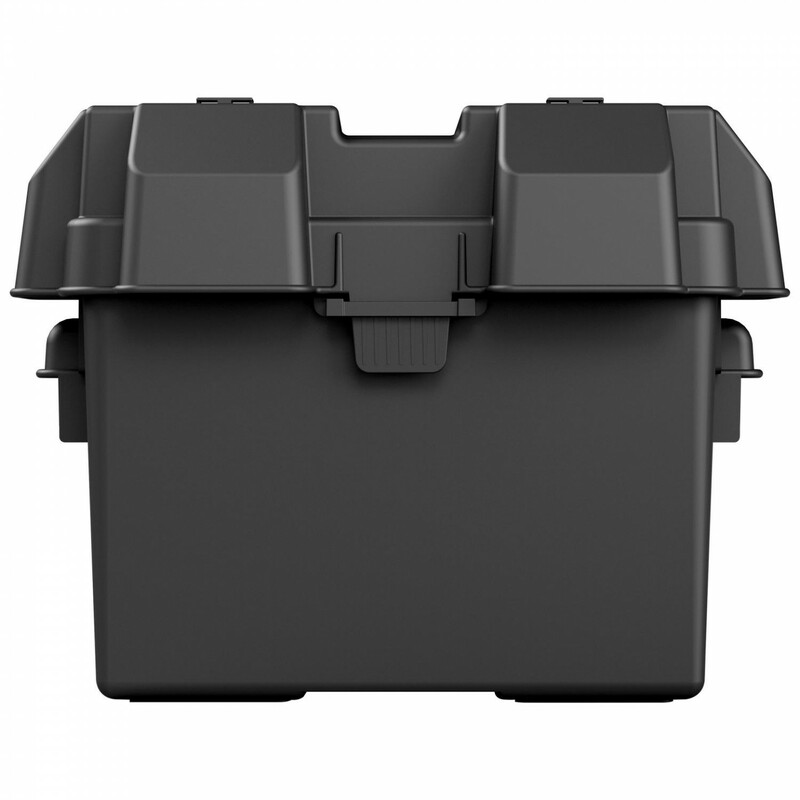 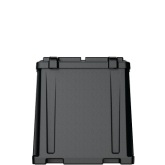 The HM300BKS Snap-Top Battery Box is a battery storage solution for sizes Group 24 Automotive, Marine, and RV batteries. 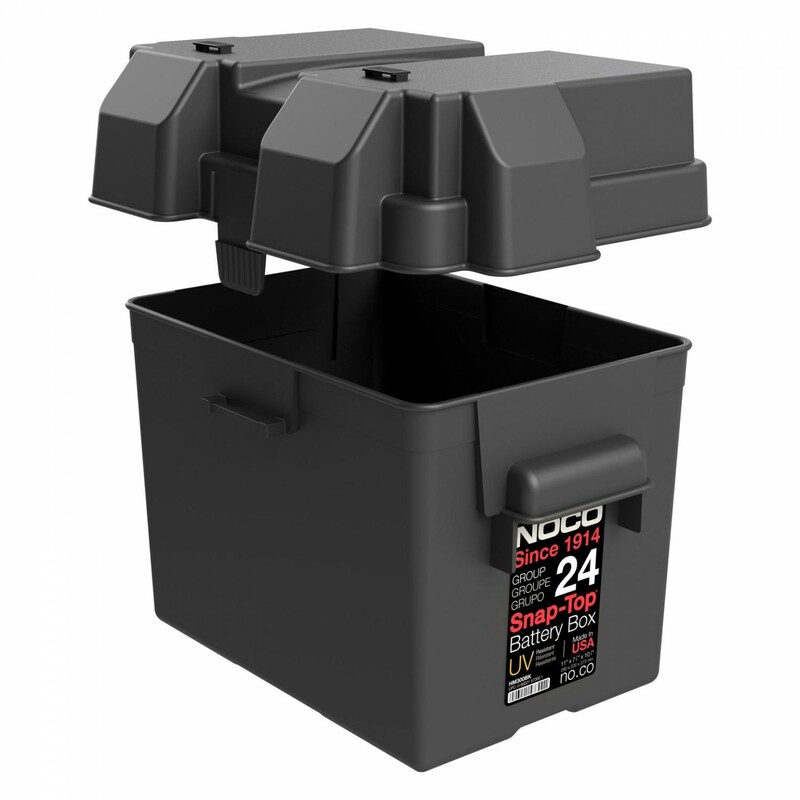 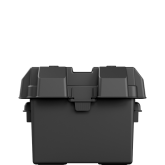 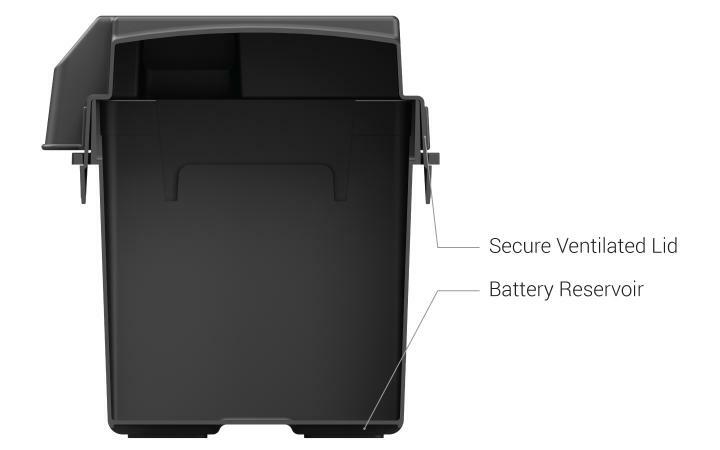 It features locking tabs to fasten the cover securely to the battery case, reinforced plastic handles to prevent cracking during battery relocation, and allows adequate ventilation of battery acid vapors. 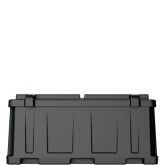 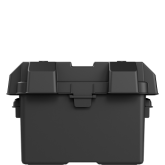 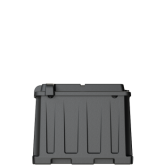 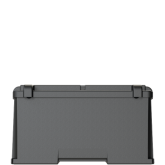 This rugged battery box maintains its impact properties down to minus 20°F, as well as, resistant UV, oil, gas and other contaminants. 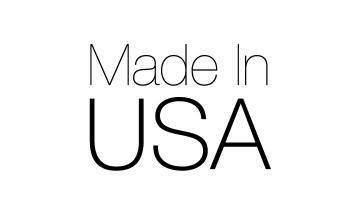 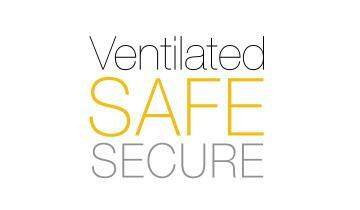 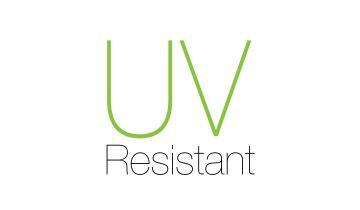 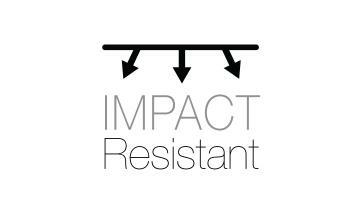 Perfect installation in a car, boat, camper, motorhome, trailer, or caravan, as well as, generator equipment. 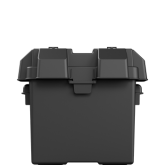 Designed for a single group 24 battery. 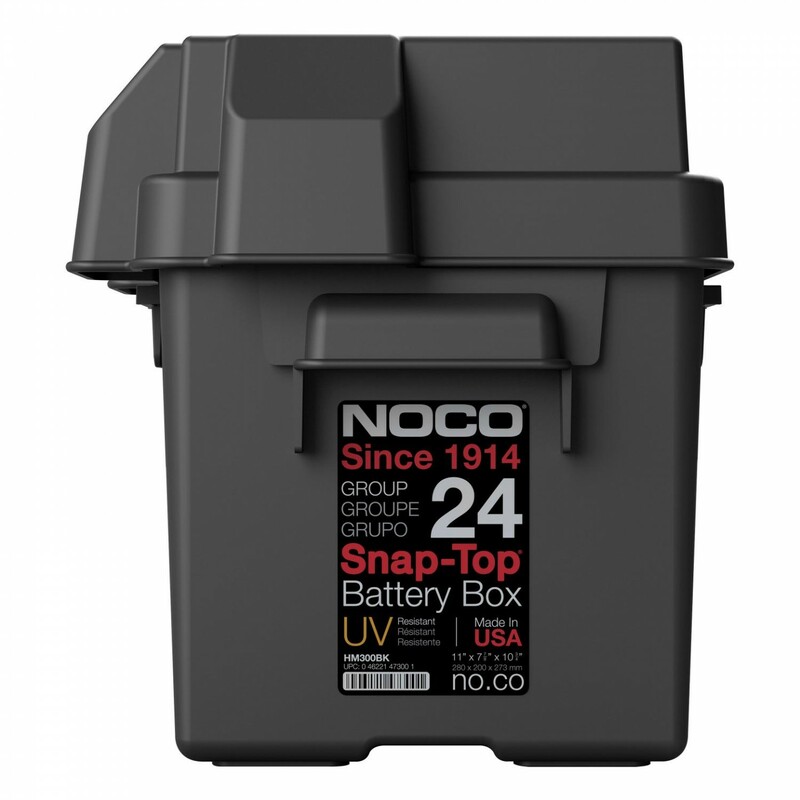 Fits most group 24 batteries. 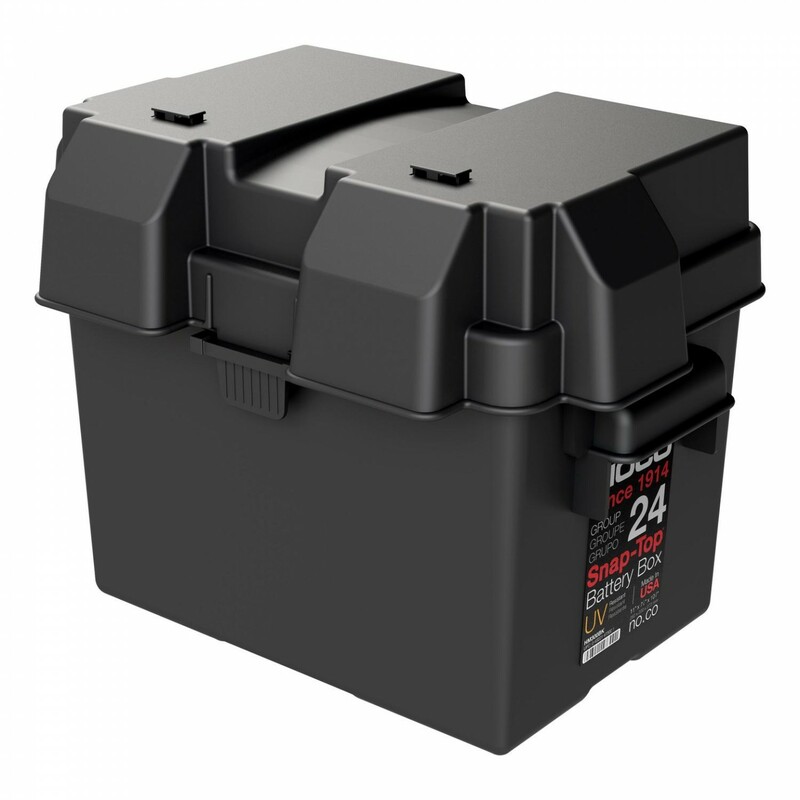 Designed to accommodate most 12-volt Automotive, Marine and RV group 24 lead-acid SLA batteries. 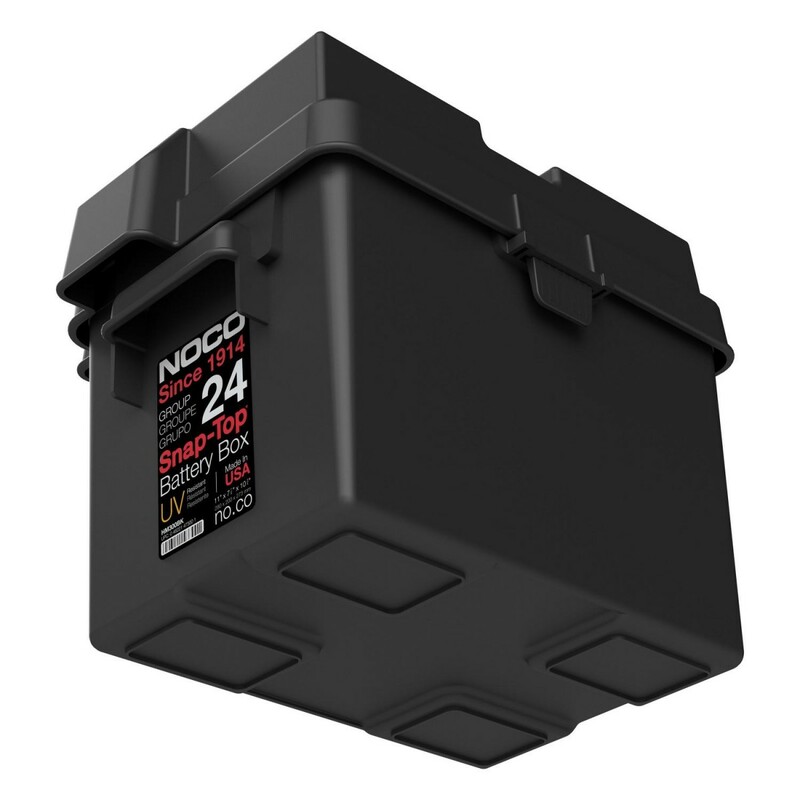 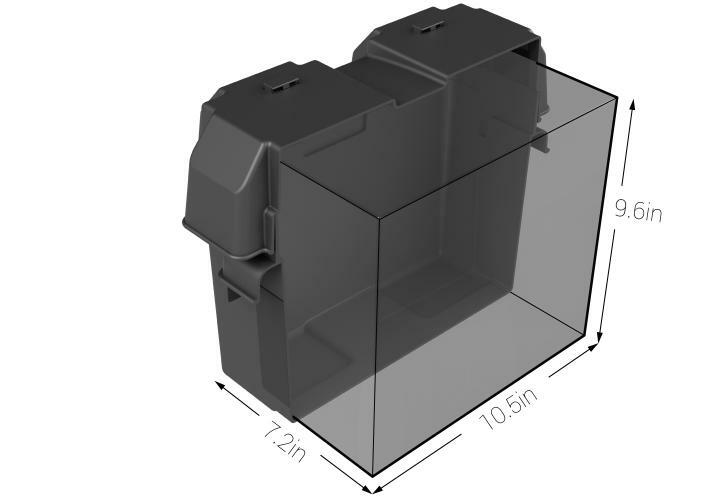 The external battery box dimensions help you determine the proper fit on your boat, camper, motorhome, trailer, car or caravan, as well as, lawn and garden and generator equipment. 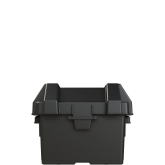 Group 24 Battery Box, 42-Inch Battery Box Strap.